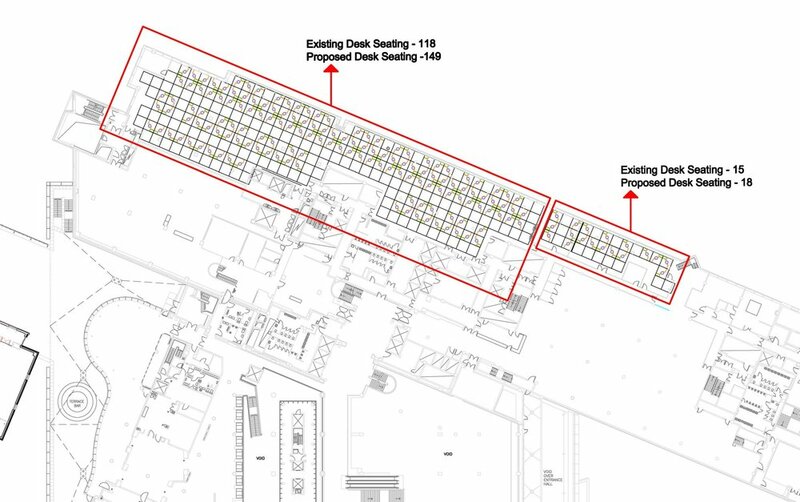 One of the most memorable projects we undertook was the spatial planning for The British Library. This was distinctive mainly because of the nature of the brief. We had obtained a referral, who told us that one of their clients needed help on this specific project. The British Library had acquired over the years a variety of desking produced by different manufacturers. They were planning to expand and introduce more staff on more floors. The problematic they were facing was how to reconfigure the desk space as most of their staff had different desk sizes. Scientific spatial planning and furniture consultation at a high level came into play. After extensive chats with The British Library we were commissioned to create spatial plans for all six floors. To start the project off we decided to put together a comprehensive desking schedule, listing all of the desks and sizes; we then set about calculating which desks were made by which manufacturer. From the schedule we then ascertained and then selected the top three manufacturing companies of desk which were: Kinnarps, Bolte, Herman Miller. 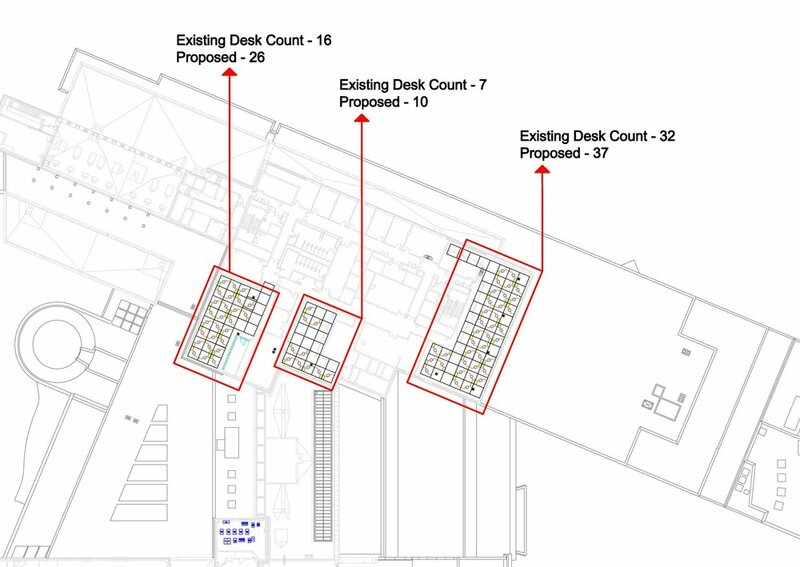 From this information we created a maximum footprint for the desks they had and finally came up with a spatial plan solution using this footprint. We also looked at other alternatives solutions e.g. whether furniture could be customised. We also looked carefully at staff head count i.e. full-time, part-time and contract workers in order to create the spatial plans. It was important to know whether there was any flexible working infrastructure or any special needs requirements. Storage areas, areas for printers and copiers, the current IT and power infrastructure were also analysed before we came up with a spatial solution. Knee-deep in the project we were informed that the British Library has a union which stipulates that each person should have desk. We were also told that we should not move too many people around. Other questions put forward were: did any staff have more than one monitor usage? Were break out areas required? It was also essential to find out about the library’s communication cycles and workflow and define what the quiet areas and the work function areas of the building were. The overall design would need to accommodate library activities for four years so we had to plan in for expansion & flexibility. After kick-starting the project and spending much time on space planning and furniture consultation we were sadly informed that due to government funding cuts at the time the project was to be put on hold. We are however happy to include this case study among our portfolio of projects as it exhibited interesting features and underlined our ability to undertake the analytical work involved with more complex spatial planning projects.